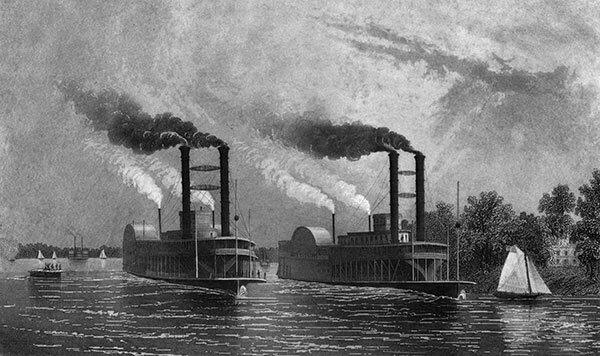 Historic photo illustration of two paddle boats on the Mississippi River. Resolution: 2225×1319 px. Unknown artist, published in “One Hundred Years Progress of the United States”, 1880.